The Clayer, Surfacing Techniques will teach you techniques to create rich and dynamic surfaces on clay. 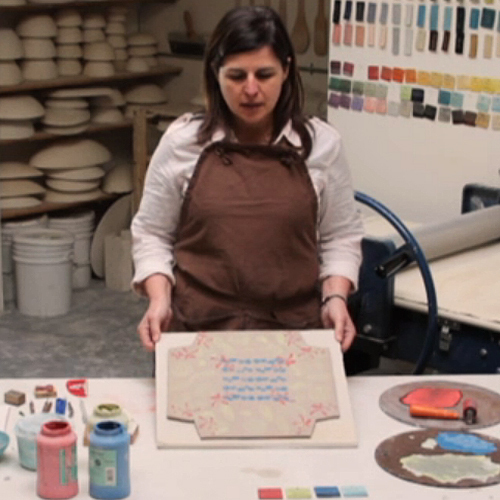 This online pottery class covers various surface applications Mishima inlay, mono-printing, carving and printing with your own block prints on clay. This online pottery class is entirely self-paced and available to you any time you want to access it. All content is delivered via video, with supplemental written materials also provided. Please note that these instant access classes do not include direct interaction with Diana Fayt. If you are interested in personal coaching and mentoring from Diana, please click here to learn more.